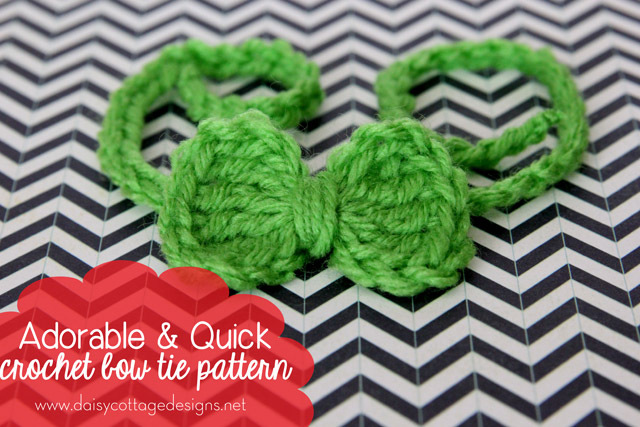 This crochet bow pattern is so easy, it’s almost embarrassing to post. 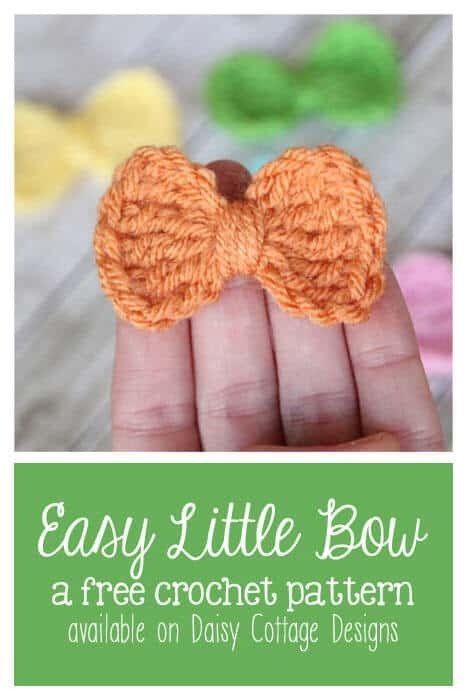 You can literally whip up one of these baby bows in 5 minutes or fewer (to make just the bow, it took me 1 minute, 38 seconds). 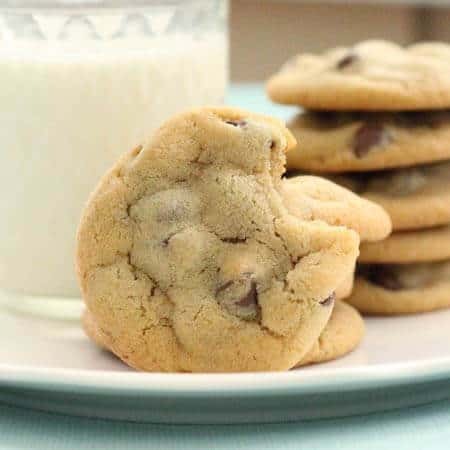 On top of that, they’re perfect for that baby shower that’s just around the corner. 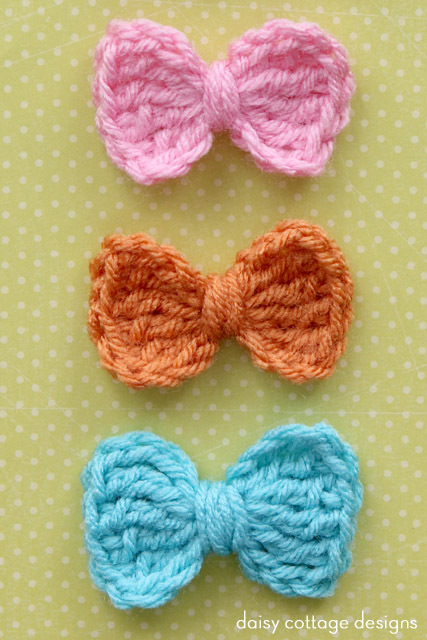 If your friend is having a girl, attach these to an alligator clip or a headband. If you’re friend is having a boy, make it into an adorable bowtie. 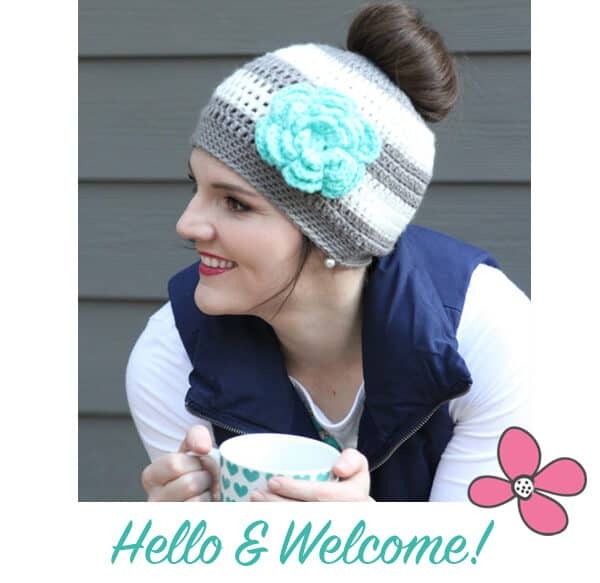 This crochet bow patternis perfect for determining a stripe pattern in a blanket or hat, too. 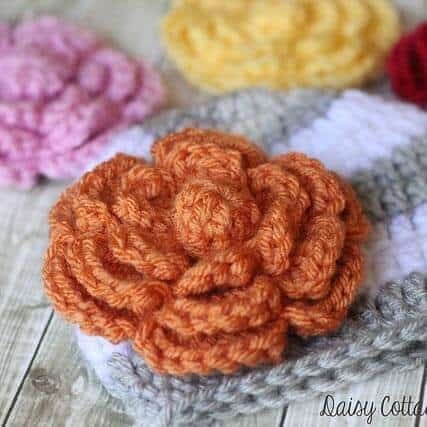 If you’re unsure what order of colors would look best, whip up one bow in each color, and arrange them until you’re comfortable with your selection. 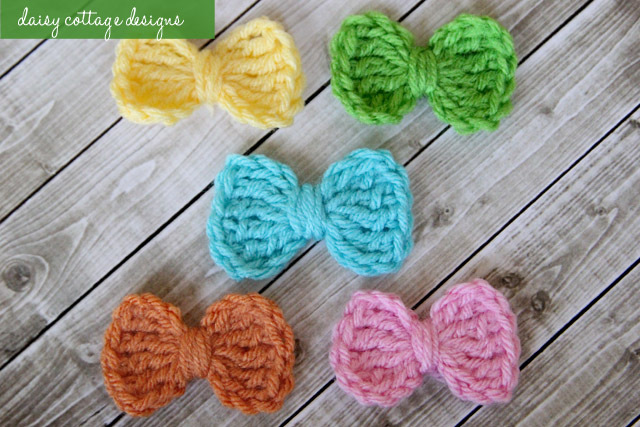 You can then use the bows for future gifts, or make a matching set of bow ties or headbands to go along with the baby blanket. 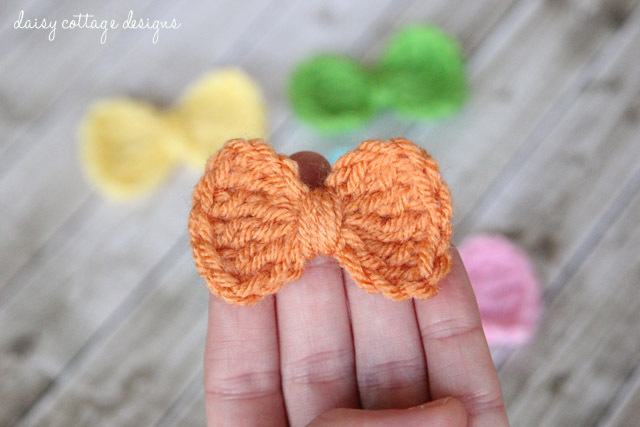 Without further ado, here’s how you can make one of these little bitty bows or baby bow ties. Round 1: 4 tc into the first ch. Ch 4, sl st in the same st. Ch 4, 4 tc into the same st, ch 4, sl st in the same st. Cut yarn, but leave a long tail to wrap around the center of the bow. 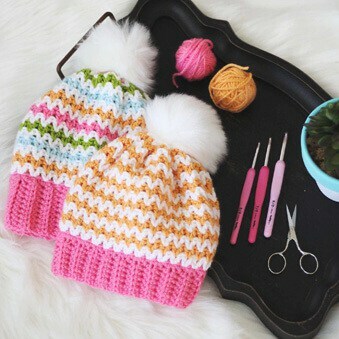 If you’re attaching this to an alligator clip or a headband, wrap the yarn around 7 times, cut yarn and weave ends. If you’re making a bow tie, make a chain measuring 15 inches. 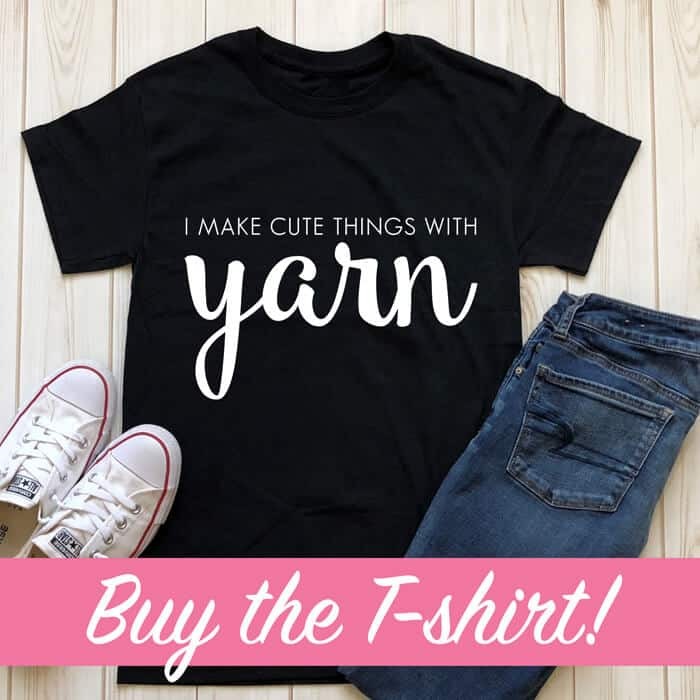 Cut yarn and weave ends. Lay chain across the back of the bow tie, then wrap yarn around 7-12 times to secure the tie to the back of the bow and to create the center of the bow. Hi, Heather. You shouldn’t have any chains left over. Everything is done in the 4th chain from the hook (the first chain you made). 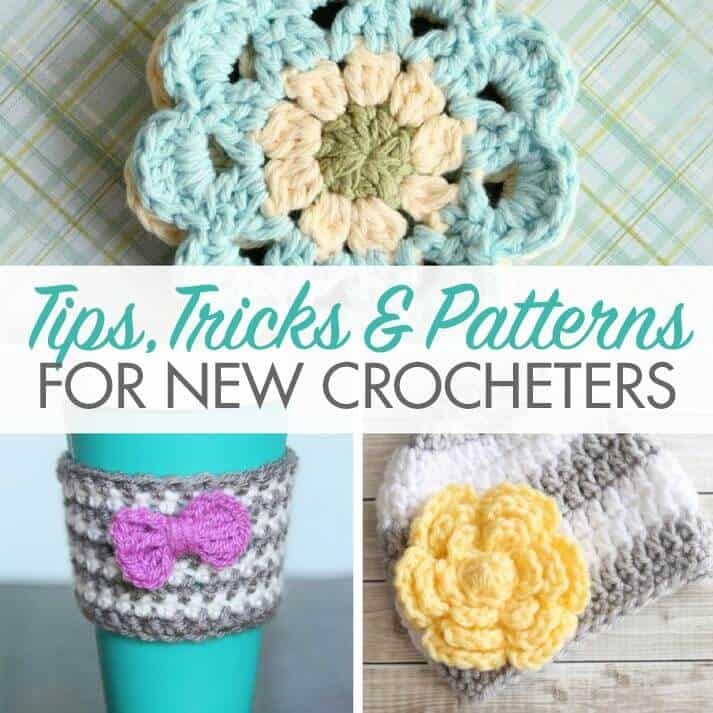 This means that those extra chains count as your first treble crochet. Hope this helps. That makes much more sense….Thanks!! Love this bow! Using it on a Monster hat for my nieces. Thank you for sharing. No problem! Glad you like it, Kathryn! 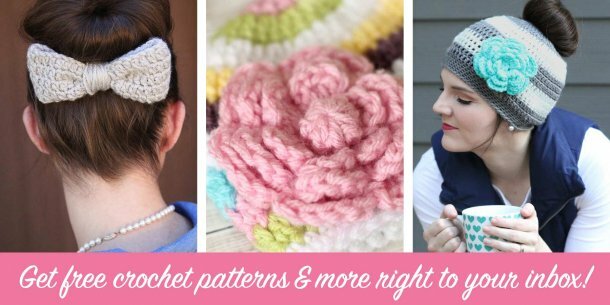 can I put Crochet Bow Tie Pattern on my blog? I am a Japanese, so my blog is for Japanese. I will translate your pattern in Japanese. I want to put the translated pattern in my blog.